The name is no coincidence. Double the warmth and dryness in a toasty team-favorite. When the Sound of Music song lists its “favorite things,” did you realize “warm mittens” are mentioned in the second line? The second line! When this song was penned, warm handwear was tops on the list in the songwriter’s mind. Maybe that’s common. Burton team rider Enni Rukajarvi thinks so, since she considers the women’s Burton Favorite Leather Mitt to be a must-have. Who wouldn’t with a Gnar Guard genuine leather shell and palm with Screen Grab®, waterproof DRYRIDE Insane Membrane™, and Thermacore™ insulation to keep it toasty. 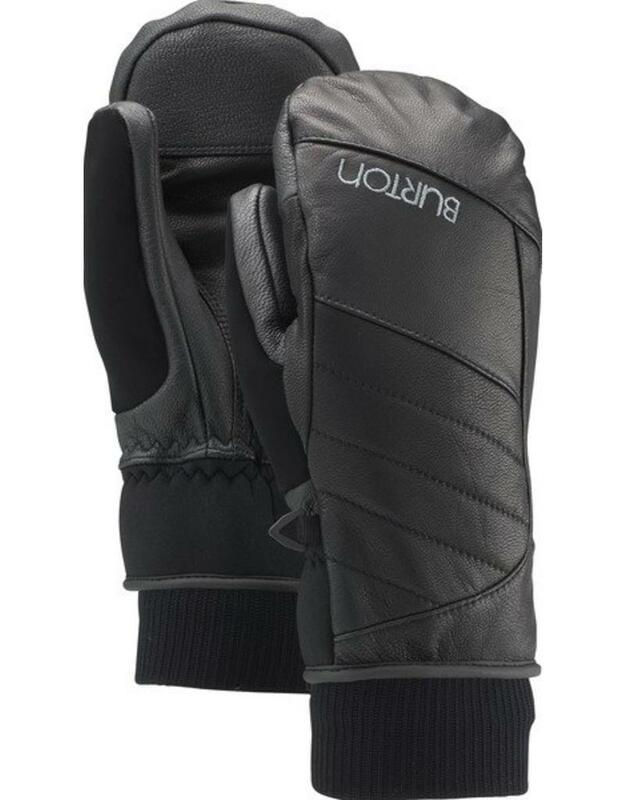 Add the old school styling and wrist-sealing warmth of a knit cuff and the riders all agree, this is one mitt with lots to love.